Private blog networks, identified as a PBN, is a collection of websites which are used to help benefit the rankings of a different site within a search engine. For years, these networks have been frowned upon. Specifically by Google, which have penalized many for using them. In this article, lets discuss why people use PBNs and would it really be effective in 2017. To describe what a private blog network is and how it could be used to benefit another website when ranking within search engines, I find it would be best if I were to discuss backlinks first. Now, if a website has a handful of links from domains which search engines have labeled to have high authority, the website has a better potential in ranking well within search engines. It’s not the overall ranking factor, although it is one metric of grading a domain which has almost dated back to the start of SEO. Receiving a backlink from a domain can be constructive in gaining more authority for a single domain, while obtaining a backlink from a content relevant site could provide a greater bump in the SERPs, also known as Search Engine Results Page. Just to identify, higher a domain is positioned within the SERPs would most likely correlate in an increase of traffic; for the domain would have a better chance of being clicked upon from a result for a single query. Now that I have identified the basics of what backlinks are, lets go ahead and continue this discussion on private blog networks and the domains which are used. To simply put it, PBNs provide a fast way to receive backlinks to a domain. They are controlled, often by the same entity whom owns the specific domain which is receiving the backlink, and are often considered a Grey Hat SEO tactic – or something which search engines consider relatively unethical and somewhat deceiving. One can build a private blog network by purchasing old or expired domains, either through auction or by other means, which are viewed to have good authority with search engines and does not have history of using black hat techniques. Often times, the website is restored to its original form and only few backlinks are added so where the site does not become identified as a private blog network. Remember, they’re frowned upon. It would not be a great idea to purchase an old domain and change the content to something completely different, for the backlinks which the particular domain holds might be completely ignored by Google. 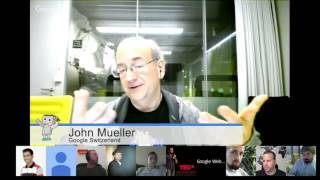 Below is a quick snippet from a late-2016 Google Webmaster Central office-hours hangout video where John Mueller identifies this. So how do I go about restoring a website if it’s no longer online or available? Great question & I’m glad you asked! There is a tool which has been around for a long time over at archive.org called the Wayback Machine. This tool is excellent at identifying how specific webpages have appeared throughout its stent on the internet and is great for identifying content on single pages. If you want to retrieve the entire site, I would recommend using this Wayback Machine Downloader. This downloader, which runs in command line, is a powerful tool which can restore an entire website with very little hassle. As previously mentioned, PBNs are frowned upon by search engines. This is because it is a way to manipulate search engine metrics to unnaturally rank specific domains within the search results. Beyond purchasing expired/auctioned domains, hosting fees for running a proper PBN makes the practice relatively expensive and time consuming. Should I Use A PBN? I would like to be clear that I do not endorse the use of private blog networks, for they are considered to be unethical and people have been punished for using them in the past. Also, I do not use PBNs for this blog, or for any other site affiliated directly with myself. With this said, if you were to ask an SEO which currently uses a PBN if they find them to be beneficial – the answer would be most definitely yes! A common question, one which was asked within a handful SEO social communities online throughout the past couple of years: does a PBN even work anymore? Some people commented that one shouldn’t use private blog networks because of the penalties handed down in the past, while others chimed in how financially profitable theirs have served them – still to this day. Just to identify the skeezyness of this practice, it’s best to register all of your domains within the PBN under fake names and locations so where the secrecy of each site remains private that it’s associated with a private blog network. You can make the decision for yourself. In 2012, the Google Penguin Algorithm was integrated into their search engine. This particular algorithm was set in motion to penalize website which used spam tactics to increase their position within the SERP. At the time, Penguin was a big deal; people were losing their minds! Now keep in mind, the organization mentioned above were being affected by unwanted links which were considered spam in the eyes of Google, rather than spamming their own domain. This is a common type of SEO competition; one which targets keyword competitors by convincing Google that the domain uses unethical practices. Either way, this example is great to use when pointing out to people who want to start using private blog networks to help get authoritative backlinks. So let’s say you’ve made up your mind and you want to build a PBN. OK. Let’s discuss a few things first. Everything should be done in moderation. Whither that might be how many sites you might add within each hosting account, link distribution throughout the PBN itself, or the percentage of backlinks a domain receives from the PBN. As I’ve mentioned before, putting all of the sites within the same hosting account for creating a PBN is a bad idea. One which could easily be identified and penalized. Although, with this said, it would be best if one were to put a handful of sites within the same hosting service to diversify the type of content and refrain in linking them together. Linking sites within the private network together is a natural way in efficiently building up the authority of the entire PBN. There are a few things to keep in mind about this too! Continuing on with the privacy of the blogging network, it too is also important that each site is built differently. It would be unwise to use the same CMS and template for all of the sites across the PBN. Not only must you diversify with hosting, fake names for domain registrars, diversity of backlinks, one must also vary how each website is constructed. What you are accomplishing with this practice is to leave no traces behind which could possible identify a single domain is part of PBN. Many PBNs have a range of different CMS’s such as WordPress & Drupal, as well as, even simple static sites. I’ve even heard of people daringly slip a Google Blogger site within their PBN too, which seemed to work out well for them. I guess the most important item I would like to stress when building out a PBN would be to diversify across the different mediums addressed above and not to get carried away, for the consequences are real. Private blog networks, although considered unethical to use by Google, provide a quick alternative in receiving backlinks to a particular domain. There are some downsides to private blog networks as well.